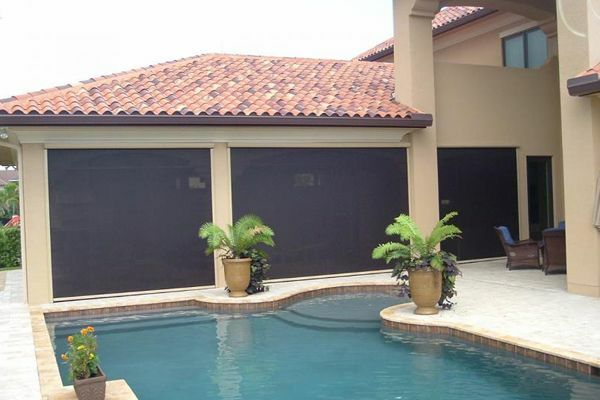 The TCI motorized screens comprise of the prowess that will add elegance to your outdoor screen. They are one of the fastest growing markets. Our TCI motorized screens in the Cayman Islands are the perfect blend of power, precision and integration. These let you transform the outdoor living space from insect-filled, muddy environment to cool, bug-free environment by consuming low power and offering high security and reliability. These state of the art screens provide multiple innovative features and have robust construction. We provide quality assurance and technical support to our customers. The strength of Elements Screen’s motor tube coupled with the extruded hood allows for installations up to 24’ wide without sagging. Side tracks are only 2 inches wide and 5/8 inches thick, enabling the frame to blend unobtrusively in with the building’s façade. MaestroShield has the only extruded hood on the market. Our extruded hood is 66% thicker than sheet metal hoods, making it resistant to denting in shipping and handling, and impact resistant when installed. Our side caps, featuring deep galvanized steel threaded inserts for attaching the mounting plates, are 87% thicker than standard universal side caps. The 5½ inch hood assembly and small profile side rails are light weight and allow for quick and easy installation. Zipper system allows screen to be tensioned and still run smoothly without ever needing adjustment. Industry-leading warranties: 10-year warranty on powder coating (1-year in coastal regions within 1 mile of saltwater coastline); 5-year full replacement warranty on tubular motors (3-year for Smart Series motors with internal receiver); 2-year full replacement warranty on electronics and components.